Protein nanofibrils (PNF) is a high surface area, insoluble protein material with applications in personal care care, cosmetics, wound healing and other areas. The fibrils are essentially insoluble and so maintain their functional properties while in use but degrade slowly, so are not environmentally persistent. The insoluble nanofibrils form by self-assembly in a proprietary manufacturing process. They can be made with a suite of readily available protein sources. 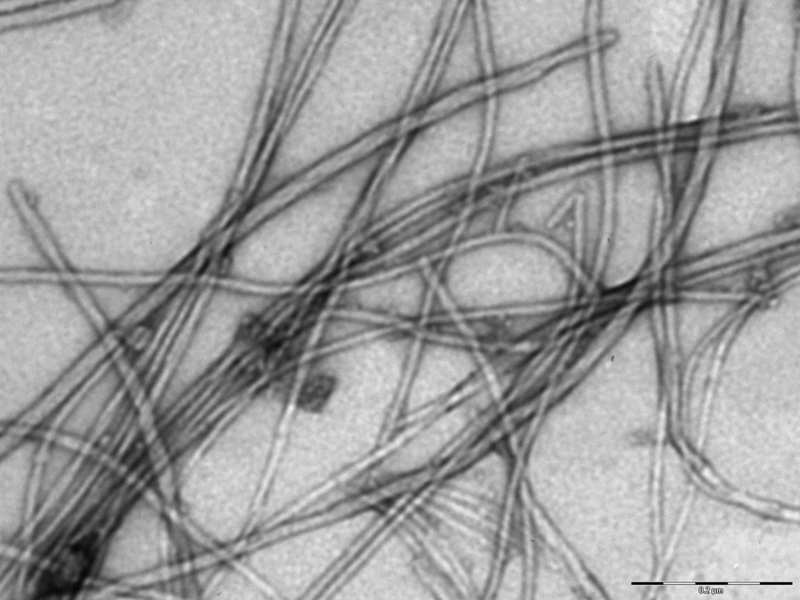 The nanofibrils are natural, biodegradable and inexpensive. The long, thin fibrils have a high surface-to-volume (and a high aspect) ratio. The fibrils interlock to form gels in water, in the absence of surfactants and viscosity enhancers. They can be tuned to vary from a viscous fluid to a solid gel and can also be made into sheets and foams. Protein nanofibrils have a more varied composition than similar traditional materials such as collagen or synthetic polymers. The variety of amino acid residues present allows a number of different chemical methods to be used to modify their properties. This opens up many opportunities to attach biologically active molecules and create new ingredients, or tailor their properties for a specific use. This gives the technology a wide range of life-sciences applications. We welcome your interest in forming a partnership to develop a specific product for a market need. Please contact us for more information. The protein nanofibril technology was invented by Professor Juliet Gerrard working at the University of Canterbury with Plant and Food Research.